"Hello, how do you do? 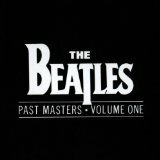 My name is you"
The Beatles Box Set (compilation) (1988), Rock 'N' Roll Music (compilation) (1976), Past Masters - Volume One (this album) (compilation) (1988), Past Masters (compilation) (1988), Anthology 2 (compilation) (1996), CD Singles Collection (Box Set) (compilation) (1992), The Beatles In Mono (compilation) (2009). The Beatles - Help & I'm Down - 7" - MINT UNPLAYED REDUCED!!! Showing latest 5 ratings for this track. | Show all 53 ratings for this track.